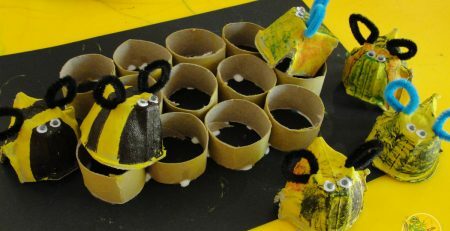 With Easter fast approaching, I’ve been scouring Pinterest for Easter-type activities to keep my three girls (aged 5, 3 and 1) busy and to get them in the mood for this important holiday in our Christian calendar. 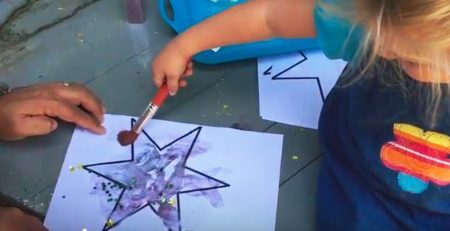 It can be quite a challenge finding activities that are interesting and stimulating enough for my 5 year old but at the same time easy enough for my 3 year old and not result in absolute chaos and destruction if my 1 year old decides she wants to join in too! 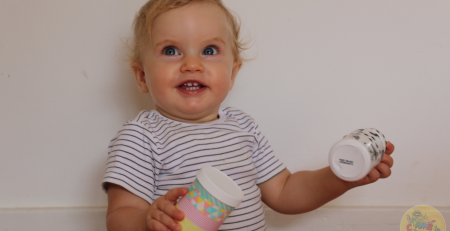 But there’s nothing I like more than a little challenge…. 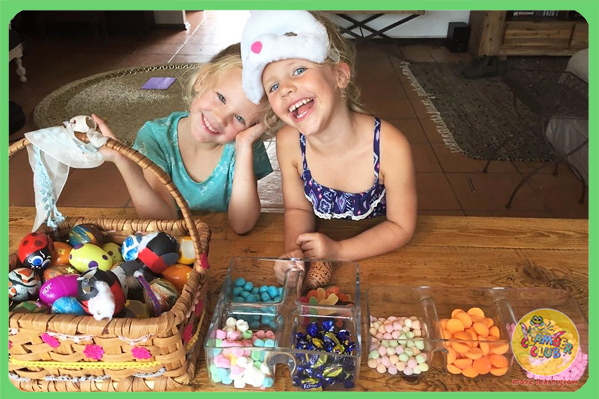 A tradition in our home is to fill empty eggs with sweets to hide on Easter Sunday. 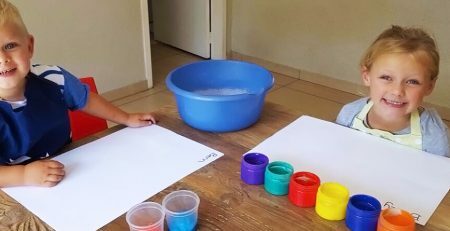 We collect eggs for weeks before Easter, wash them out with hot water and decorate them – it is a super fun family activity that we all look forward to. 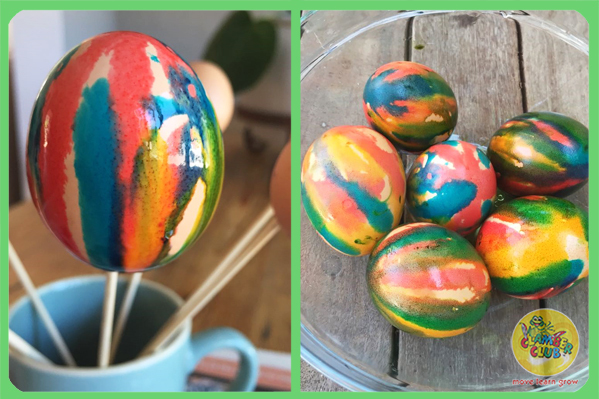 This year, I decided to try an interesting idea which I had seen on Pinterest, using vinegar and food colouring to decorate the eggs. 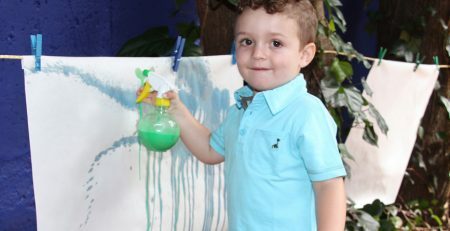 First, we used a thick paintbrush to paint the eggs with vinegar. 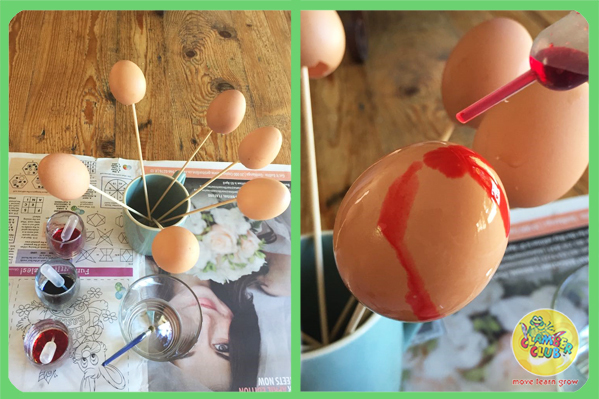 Then, we used plastic droppers I found at Party Themes in Springfield to drop food colouring on top of the eggs. 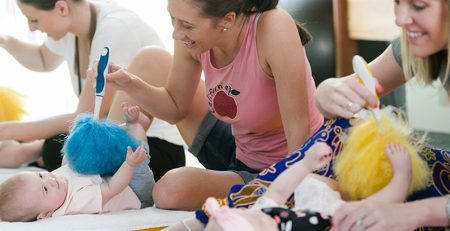 The kids loved watching the food colouring dribbling down the egg and mixing with different colours. And the colours on the egg are so bright and effective! Activity 1 done, and I considered it a success! The end result, so effective! Filling the eggs with sweets – also a HUGE success according to the kids, as plenty of those sweets got slipped away by little fingers to fill little tummies while I wasn’t looking! 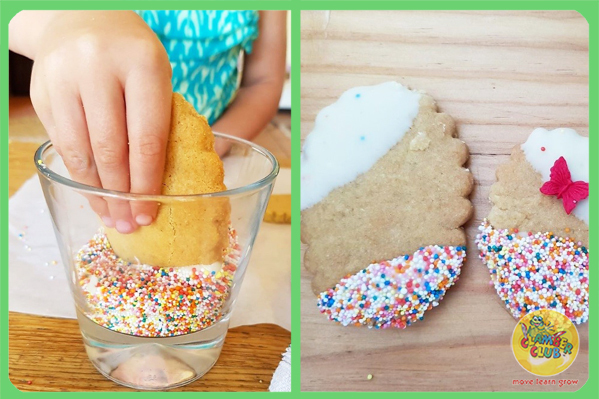 While visiting Ballito’s new baking and confectionery shop, Nicole’s, I happened upon these oval-shaped cookie cutters which I thought would be perfect for Easter egg biscuits. 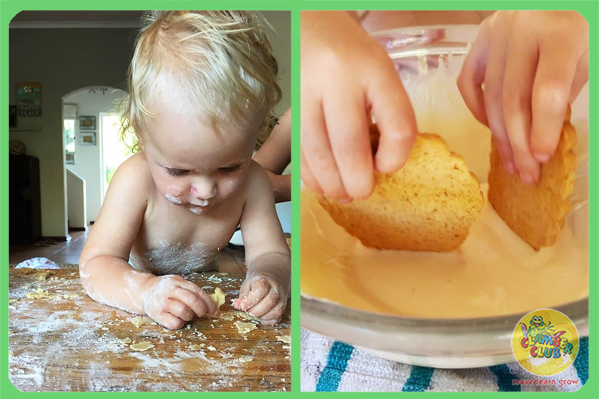 Baking biscuits is a firm favourite activity in our house, one that every single member of the family thoroughly enjoys (our 1 year old most of all! ), so I knew Easter wouldn’t be complete without a biscuit-making afternoon! I had bought a huge slab of white baking chocolate and a packet of sprinkles at Nicole’s for a great price and once the biscuits were ready, we melted the chocolate, put the chocolate and sprinkles into separate containers and then the fun could begin! The girls immensely enjoyed dunking the biscuits into the chocolate and then into the sprinkles. And the end result is colourful, screams Easter and is totally yummy! Biscuit-making is a whole sensory experience! First a dunk in the chocolate…. Then a dunk in the sprinkles…. …and done! Easter egg biscuits, tick! 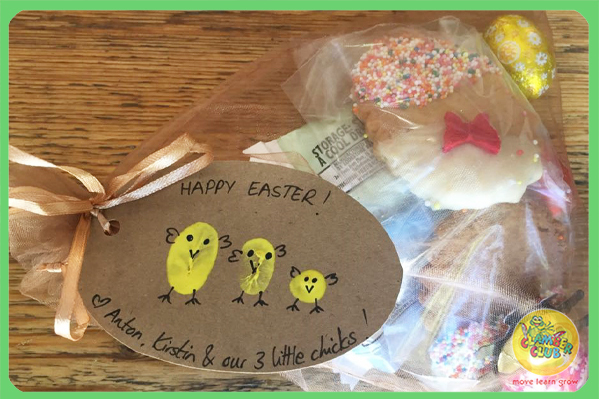 Lastly, we put together Easter parcels for our family, friends and teachers which contained some of those awesome Easter biscuits we’d made earlier, mini chocolate eggs and marshmallow eggs. 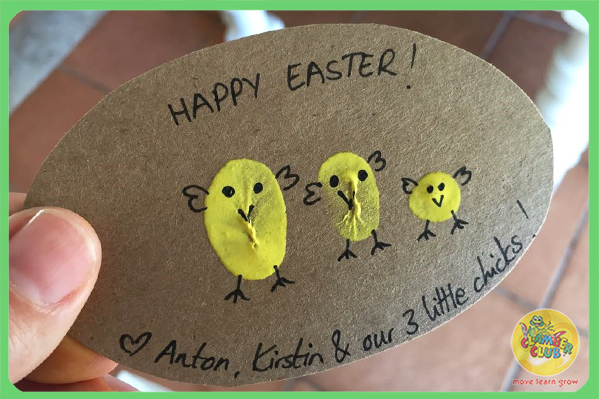 As gift tags for the parcels, each of the girls did a finger stamp with yellow paint on an oval-shaped piece of cardboard and once dry, I decorated them as chicks. 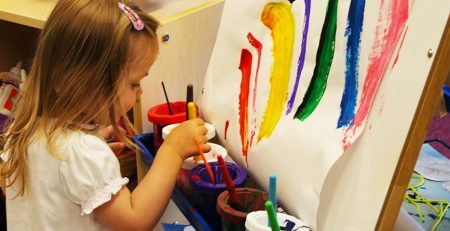 So easy, and even a non-artist like myself managed fine. I added some written text to say HAPPY EASTER! and wa-la! Gift tags done! 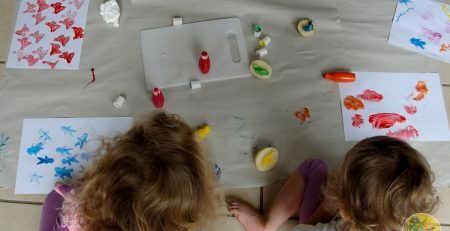 Although it feels easier and less time-consuming to buy shop-bought goodies around celebrations like Easter, it has been so rewarding planning and watching my girls throw themselves into these funtivities. They are so proud of their Easter eggs and Easter parcels and cannot wait to hand them out to their teachers, friends and family! So worth the extra effort!